R Griffith was appointed colonel, 12th Alabama Infantry, at Camp Clark, south of the Memphis & Charleston Railroad, Corinth, Alcorn County, Mississippi, on 23 May, 1861. Captain W H Taylor, 12th Alabama Infantry, Company B, was appointed lieutenant colonel, 12th Alabama Infantry, at Camp Clark, south of the Charleston & Memphis Railroad, Corinth, Alcorn County, Mississippi, on 23 May, 1861, dated 16 May, 1861. Captain J R Dickens, 12th Alabama Infantry, Company E, was appointed lieutenant colonel, 12th Alabama Infantry, at Camp Clark, south of the Charleston & Memphis Railroad, Corinth, Alcorn County, Mississippi, on 20 May. 1861, dated 23 May, 1861. The company was accepted in state service at Union Church, Jefferson County, Mississippi, on 26 January, 1861, and was mustered in state service for one year on 11 March, 1861. The company arrived at Camp Clark, south of the Memphis & Charleston Railroad, Corinth, Alcorn County, Mississippi, on 5 May, 1861, and was mustered in Confederate service for one year by Captain W S Walker, infantry, Confederate States Army, on 23 May, 1861, dated 5 May, 1861. The company was accepted in state service at Natchez, Adams County, Mississippi, on 27 February, 1861, and was mustered in state service for one year by Captain W S Lovell, Quitman Light Artillery, on 5 March, 1861. The company arrived at Camp Clark, south of the Memphis & Charleston Railroad, Corinth, Alcorn County, Mississippi, on 5 May, 1861, and was mustered in Confederate service for one year by Captain W S Walker, infantry, Confederate States Army, on 23 May, 1861, dated 5 May, 1861. The company was accepted in state service at Raymond, Hinds County, Mississippi, on 11 February, 1861, and was mustered in state service for one year, under the command of Captain W H Taylor, on 13 March, 1861. The company was ordered to Corinth, Alcorn County, Mississippi, on 29 April, 1861, and arrived at Camp Clark, south of the Memphis & Charleston Railroad, Corinth, Alcorn County, Mississippi, on 30 April, 1861. The company was mustered in Confederate service for one year at Camp Clark, south of the Memphis & Charleston Railroad, Corinth, Alcorn County, Mississippi, by Captain W S Walker, infantry, Confederate States Army, on 23 May, 1861, dated 30 April, 1861, and Captain W H Taylor, 12th Mississippi Infantry, Company C, was appointed lieutenant colonel, 12th Alabama Infantry, on 16 May, 1861. Private S B Thomas, 12th Mississippi Infantry, Company C, was appointed captain, 12th Mississippi Infantry, Company C, on 18 May, 1861. The company was mustered in state service at Hazelhurst, Copiah County, Mississippi, on 11 March, 1861, and arrived at Camp Clark, south of the Memphis & Charleston Railroad, Corinth, Alcorn County, Mississippi, on 12 May, 1861. The company was mustered in Confederate service for one year at Camp Clark, south of the Charleston & Memphis Railroad, Corinth, Alcorn County, Mississippi, by Captain W S Walker, infantry, Confederate States Army, on 23 May, 1861, dated 12 May, 1861. The company was accepted in state service at Sardis, Panola County, Mississippi, 4 March, 1861, and was mustered in state service for one year, under the command of Captain J R Dickens, on 20 April, 1861. The company arrived at Camp Clark, south of the Memphis & Charleston Railroad, Corinth, Alcorn County, Mississippi, on 8 May, 1861, and was mustered in Confederate service for one year by Captain W S Walker, infantry, Confederate States Army, on 23 May, 1861, dated 8 May, 1861. First Lieutenant R W Crump, 12th Mississippi Infantry, Company E, was appointed captain, 12th Mississippi Infantry, Company E, on 16 May, 1861, and Captain J R Dickens, 12th Mississippi Infantry, Company E, was appointed lieutenant colonel, 12th Alabama Infantry, on 23 May, 1861 (See the 12th Alabama Infantry). The company was accepted in state service at Durant, Holmes County, Mississippi, on 9 March, 1861, and was mustered in state service for one year on 16 March, 1861. The company arrived at Camp Clark, south of the Memphis & Charleston Railroad, Corinth, Alcorn County, Mississippi, on 9 May, 1861, and was mustered in Confederate service for one year by Captain W S Walker, infantry, Confederate States Army, on 23 May, 1861, dated 9 May, 1861. The company was accepted in state service at Vicksburg, Warren County, Mississippi, on 13 March, 1861, and was mustered in state service for one year on 24 April, 1861. The company was ordered to proceed by the Vicksburg, Shreveport & Texas Railroad to Corinth, Alcorn County, Mississippi, in the afternoon on 9 May, 1861, and arrived at Jackson, Hinds County, Mississippi, at 5 PM the same day. The company was ordered to proceed by the Mississippi Central Railroad to Canton, Madison County, Mississippi, at 7 PM on 9 May, 1861. The company arrived at Holly Springs, Marshall County, Mississippi, at 8 AM on 10 May, 1861, and was ordered to Grand Junction, Hardeman and Fayette Counties, Tennessee, in the evening the same day. The company arrived at Grand Junction, Hardeman and Fayette Counties, Tennessee, at 9 PM on 10 May, 1861, and by the Memphis & Charleston Railroad at Camp Clark, south of the Memphis & Charleston Railroad, Corinth, Alcorn County, Mississippi, at 11.30 AM on 11 May, 1861. The company was mustered in Confederate service for one year at Camp Clark, south of the Memphis & Charleston Railroad, Corinth, Alcorn County, Mississippi, by Captain W S Walker, infantry, Confederate States Army, on 23 May, 1861, dated 11 May, 1861. The company was accepted in state service at Port Gibson, Claiborne County, Mississippi, on 14 March, 1861, and was mustered in state service for one year by First Lieutenant N F Hawkins, Mississippi Rifles, 6th Mississippi State Troops, on 23 March, 1861. The company was ordered to Jackson, Hinds County, Mississippi, on 16 April, 1861, and arrived at Camp Clark, south of the Memphis & Charleston Railroad, Corinth, Alcorn County, Mississippi, on 10 May, 1861. The company was mustered in Confederate service for one year at Camp Clark, south of the Charleston & Memphis Railroad, Corinth, Alcorn County, Mississippi, by Captain W S Walker, infantry, Confederate States Army, on 23 May, 1861, dated 10 May, 1861. The company was accepted in state service at Satartia, Yazoo County, Mississippi, on 16 March, 161, and was mustered in state service for one year on 24 April, 1861. The company arrived at Camp Clark, south of the Memphis & Charleston Railroad, Corinth, Alcorn County, Mississippi, on 12 May, 1861, and was mustered in Confederate service for one year by Captain W S Walker, infantry, Confederate States Army, om 23 May, 1861, dated 12 May, 1861. The company was accepted in state service at Brookhaven, Lawrence County, Mississippi, on 20 March, 1861, and was mustered in state service for one year by Captain J R Davis, Madison Rifles, 6th Mississippi State Troops, on 30 March, 1861. The company arrived at Camp Clark, south of the Memphis & Charleston Railroad, Corinth, Alcorn County, Mississippi, on 12 May, 1861, and was mustered in Confederate service for one year by Captain W S Walker, infantry, Confederate States Army, on 23 May, 1861, dated 12 May, 1861. "On yesterday a requisition was made for the following companies to rendezvous immediately at Corinth in addition to the two regiments heretofore ordered to that point. We presume their destination is further North. The companies are ordered out according to priority of enrollment: Pettus Relief, M. B. Harris, Capt., Copiah. Sardis Blues, J. R. Dickens, Capt., Panola. Coast Rangers, J. 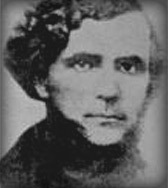 B. Avart, Capt., Harrison. Alamutcha Infantry, P. H. Bozman, Capt., Lauderdale. Winston Guards, J.M. Bradley, Capt., Winston. Wayne Rifles, W. J. Eckford, Capt., Wayne. Durant Rifles, John A. Cason, Capt., Holmes. Vicksburg Sharpshooters, H. H. Miller, Capt., Warren. Claiborne Guards, Henry Hughes, Capt., Claiborne. Minute Men of Attala, L. D. Fletcher, Capt., Attala. Satartia Rifles, E. R. Gale, Capt., Yazoo. Newton Rifles. M. Carlton, Capt., Newton. Kemper Legion, J. W. Carter, Capt., Kemper. Lauderdale Zouaves, K. McElroy, Capt., Lauderdale. Pettus Guards, S. J. Randall, Capt., Lauderdale. Secessionists, R. D. McIntosh, Capt., Clark." "We (that is the 'Sardis Blues') have been here just two weeks. Upon our arrival we found five other companies. Since then two full regiments have been orgabised, and today here are six or seven companies of the last requisition encamped here, and several others expected today. The 13th regiment, Colonel Barksdale, left here yesterday for Union City, and ours (the 12th) will probably follow tomorrow." "The first half of the regiment, including both of our companies, reached Manassas Junction on the morning of July 22, 1861, after the battle was over." "The Twelfth Mississippi reached the Manassas battlefield just in time to go quickly into the fight." The 12th Mississippi Infantry was ordered to rendezvous at Camp Clark, south of the Memphis & Charleston Railroad, Corinth, Alcorn County, Mississippi, on 1 May, 1861, and was accepted in state service for one year on 20 May, 1861. Rendezvous south of the Memphis & Charleston Railroad, Corinth, Alcorn County, Mississippi, Companies D, E, F, G, H, & I, 7 May, 1861: The Pettus Relief or Rifles, the Sardis Blues, the Durant Rifles, the Vicksburg Sharpshooters, the Claiborne Guards, and the Satartia Rifles, under the command of Captains H B Harris, J R Dickens, J A Cason, H H Miller, H Hughes, and E R Gale, were ordered to rendezvous at Camp Clark, south of the Memphis & Charleston Railroad, Corinth, Alcorn County, Mississippi, on 7 May, 1861. Mustered for one year, Camp Clark, south of the Memphis & Charleston Railroad, Corinth, Alcorn County, Mississippi, 23 May, 1861, dated 30 April & 5, 8, 9, 10, & 12 May, 1861: The 12th Mississippi Infantry, Company C, was mustered in Confederate service for one year at Camp Clark, south of the Memphis & Charleston Railroad, Corinth, Alcorn County, Mississippi, by Captain W S Walker, infantry, Confederate States Army, on 23 May, 1861, dated 30 April, 1861; Companies A and B on 23 May, 1861, dated 5 May, 1861; Company E on 23 May, 1861, dated 8 May, 1861; Company F on 23 May, 1861, dated 9 May, 1861; Companies G and H on 23 May, 1861, dated 10 May, 1861; and Companies D, I, and K on 23 May, 1861, dated 12 May, 1861. Note: Major General C Clark, Army of Mississippi, was ordered to send the 12th Mississippi Infantry and 13th Mississippi Infantry to Union City, Obion County, Tennessee, on 22 May, 1861 (See the 13th Mississippi Infantry). Camp Clark, south of the Memphis & Charleston Railroad, Corinth, Alcorn County, Mississippi, to Union City, Obion County, Tennessee, 1-2 June, 1861: The 12th Mississippi Infantry was ordered to proceed by the Mobile & Ohio Railroad to Union City, Obion County, Tennessee, via Jackson, Madison County, Tennessee, on 1 June, 1861, and arrived at Camp Miller, Union City, Obion County, Tennessee, between 1 and 2 June, 1861. The 12th Mississippi Infantry was assigned to Major General L Polk, Confederate States Army, shortly afterwards. Note: Secretary of War L P Walker ordered Major General L Polk and Brigadier General C Clark to send the 12th Mississippi Infantry and 13th Mississippi Infantry to Manassas Junction, Prince William County, Virginia, on 9 July, 1861. Camp Miller, Union City, Obion County, Tennessee, to Lynchburg, Campbell County, Virginia, 18-21 July, 1861: The 12th Mississippi Infantry was ordered to proceed by the Mobile & Ohio Railroad to Lynchburg, Campbell County, Virginia, on 18 July, 1861, and arrived by the Virginia & Tennessee Railroad via Corinth, Alcorn County, Mississippi, and Chattanooga, Hamilton County; Knoxville, Knox County; and Britsol, Sullivan County, Tennessee, on 21 July, 1861. Lynchburg, Campbell County, to Manassas Junction, Prince William County, Virginia, 21-22 July, 1861: The 12th Mississippi Infantry, Companies C and H, and three other companies were ordered to proceed by the Orange & Alexandria Railroad to Manassas Junction, Prince William County, Virginia, on 21 July, 1861, and arrived at Camp Pickens, Manassas Junction, Prince William County, Virginia, in the morning on 22 July, 1861. Note: Five companies of the 12th Mississippi Infantry were assigned to guard the captured artillery pieces stationed in the vicinity of the R Weir's Plantation or Liberia, three quarters of a mile north of Camp Pickens, Manassas Junction, Prince William County, Virginia, on 23 July, 1861 (See Lay's Squadron Cavalry). Note: The 12th Mississippi Infantry was assigned to the Second Brigade, First Corps, Army of the Potomac, by Special Orders No.169, Paragraph I, Headquarters, First Corps, Army of the Potomac, Camp Pickens, Manassas Junction, Prince William County, Virginia, on 25 July, 1861. Camp Masked Battery, Sangster's or W Elzey's Crossroads, two miles south of Fairfax Station, Fairfax County, Virginia, 31 August, 1861: The 12th Mississippi Infantry was stationed at Camp Masked Battery, Sangster's or W Elzey's Crossroads, two miles south of Fairfax Station, Fairfax County, Virginia, on 31 August, 1861. Surrendered at Appomattox Courthouse, Appomattox County, Virginia, 9 April, 1865: The 12th Mississippi Infantry surrendered at Appomattox Courthouse, Appomattox County, Virginia, on 9 April, 1865. Brigadier General C Clark, Garrison at Camp Pickens, Manassas Junction, Virginia, 4 September, 1861: Major General C Clark, Army of Mississippi, was appointed brigadier general, Confederate States Army, on 22 May, 1861, and was ordered to proceed by the Orange & Alexandria Railroad to Manassas Junction, Prince William County, Virginia, on 4 September, 1861. He was assigned to command the garrison at Camp Pickens, Manassas Junction, Prince William County, Virginia, until 14 October, 1861, and was assigned to command the Fourth Brigade, Second Division, First Corps, Army of the Potomac, on 18 October, 1861 (See the Garrison at Camp Pickens). The 12th Mississippi Infantry was assigned to the Second Brigade, First Corps, Army of the Potomac, under the command of Brigadier General R S Ewell, by Special Orders No.169, Headquarters, First Corps, Army of the Potomac, Camp Pickens, Manassas Junction, Prince William County, Virginia, on 25 July, 1861.